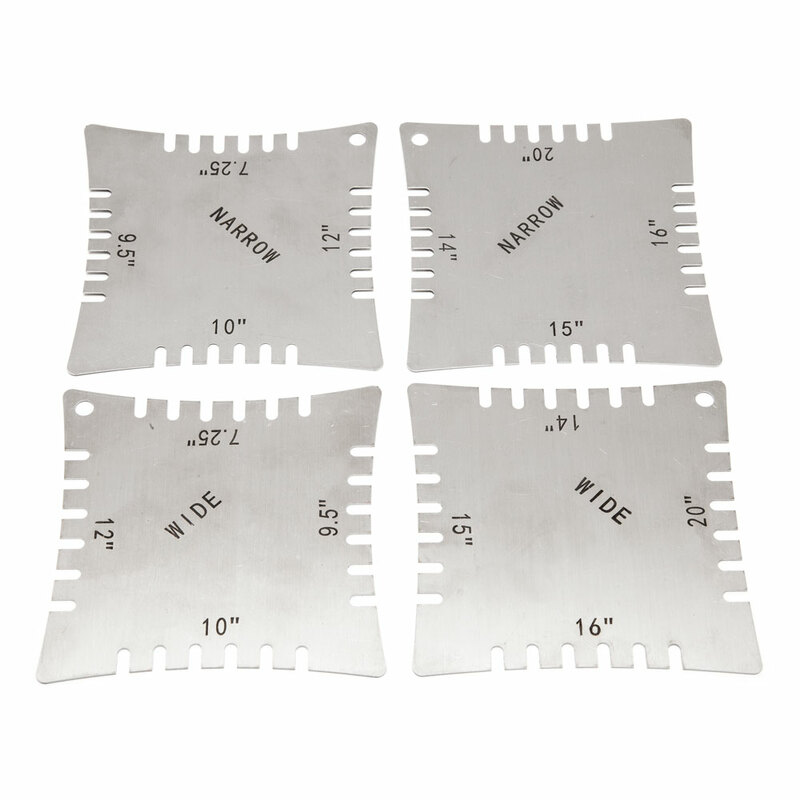 Notched Radius Gauges allow you to quickly take measurements of guitars you are working on while the strings are still on the guitar, they are laser cut in stainless steel and feature all the commonly used radius measurements. The notches are grouped in to a wide set and a narrow set, the narrow set has the notches close together for reading the fretboard near the nut, the wide set for reading the fretboard near the bridge. One wide and one narrow has 7.25", 9.5", 10", and 12" radius edges, and one wide and narrow set has 14", 15", 16", and 20" giving 4 gauges in total.